itsAlyx: HUNGER GAMES MOVIE REVIEW LINK UP!! Hello and Happy Hunger Games!!!! So the other day I had this genius idea of doing a Hunger Games Movie Review link-up! You can link up here with your posts all about the movie - whether they've just been written or they're a couple of days old! It doesn't really matter - the goal here is to meet other fans and to create a place where others can easily find reviews of the movie. I, for one, always love finding out what other people think of movies, so let's share our thoughts here! Grab a button and link on up! Rating: 8 out of 10 stars. Characters: I loved the picks for all of the characters! The only person that I didn't really care for was Prim - I thought she was super annoying. I think the movie actually made me feel for Gale - Liam Hemsworth didn't have a very big role in this movie, but the shots of him watching the games and the emotion that he as an actor was able to portray without words (combined with the amazing soundtrack) sent shivers down my spine more than once. I could feel his heart breaking as he watched the "romance" between Peeta and Katniss unfold. I almost went from Team Peeta to Team Gale. It's a good thing that Josh Hutcherson did a fabulous job as Peeta, or else I just might have made that move. As far as Katniss is concerned, I think that Jennifer Lawrence was an amazing pick. Even without the narrator giving us every thought running through her mind, I was able to feel what Katniss was feeling. Her emotion almost brought me to tears a few times - especially the scene with Rue. Speaking of Rue, let's just take a minute and talk about how perfect Amandla Stenberg was for that part - amazeballs. Am I the only one that thought that Cato was smokin'? I mean, wow. Alexander Ludwig is FI-IIIINE. Likes: I loved the book --> film adaptation. There were only a few small things that I wasn't a fan of, and I'll get to those in a minute. I really liked how well the characters transitioned from the pages of a book onto the big screen - it was just as easy to identify with the characters in the movie as it was in the book, and that is really important to me. I loved the reaping scene - I was almost moved to tears - the same with Rue's death. Shivers went down my spine more than once, but the most memorable time was when Katniss and Peeta rode in on the chariot in the parade. How awesome was that fire suit?!?! Dislikes: WHERE THE EFF IS MADGE?! 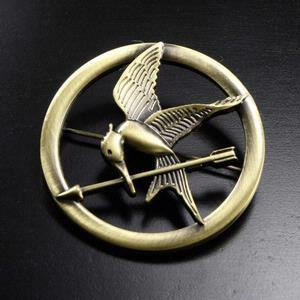 I hated the fact that they changed the way Katniss got the Mockingjay pin. I love the history behind the pin and I love the pin's significance, and I think that that was sort of taken away when Katniss just stumbles upon it at the market. WHAT THE HECK HAPPENED TO THE DOGS MAULING PEETA'S LEG?! Not that I wanted Peeta to have to go through that, but isn't his prosthetic leg a pretty important detail? And finally, WHY THE EFF DID I NOT GET THE CHANCE TO LEAVE THE THEATER CURSING KATNISS' NAME?!?!?! You all know how I felt when I finished the first book. I hated Katniss and wanted to high five her in the face with a chair for breaking poor Peeta's heart. Now why in the world would they leave out this very important part of the story? I guess to put it in the next movie. But seriously?! 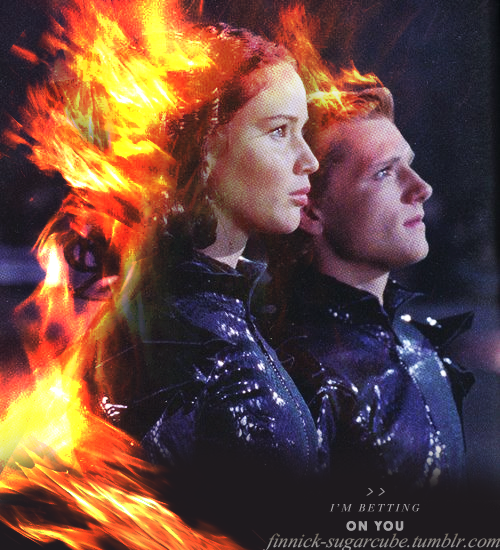 The last thing I wanted to do was leave the theater liking Katniss. Sheesh. So. I could probably talk about the movie for days, but I want to know what you all thought. Did you like it? Did you hate it? Were your expectations for the movie met? Were you disappointed? Link up and tell all!! Oh god, I could not agree with you more about all of this. ESPECIALLY MADGE! I had a 20 minute conversation, with my film major boyfriend, trying to convince him she was important. He feels she was just another character to remember who didn't do much. Not okay. Needless to say we agreed to disagree. Where the hell was Madge?!!! This had me annoyed too, I guess they didn't want to over complicate things for people who hadn't read the book? The chariot was the best. my favorite part for sure! They were on fire and they were holding hands. I almost died! The chariot scene was AWESOME. I think, maybe, they wanted you to leave the theatre liking Katniss because she's the main character and for people who haven't read the books (FOR SHAME) they wouldn't have wanted to see more if they didn't like her. Because of the movie, I think I've almost convinced J to read the books. He thinks he'll be done with the first one by the time the second movie comes out. Ahh! Agree!! Now I don't know how to write my own review because I feel like you said it all! But, I'm gonna try! One of my students was actually the one that pointed out to me that the mockingjay pin scene was changed after seeing it in a trailer. I'm also outraged especially because I feel like she's an important character in the 3rd book (?). I also definitely got chills and cried at several points in the movie! i agree with you about almost switching to team gale. even though he had so little time on the big screen, his scenes were great and he is not bad to look at as well. at first i was way annoyed about the madge thing, but then i realized in the grand scheme of things it was probably a detail that wasn't quite as important as the other things. i for one, would have been fine with a four hour movie :) haha for real though. Anyway, I've always been Team Gale, so the Liam parts just tore me up inside. 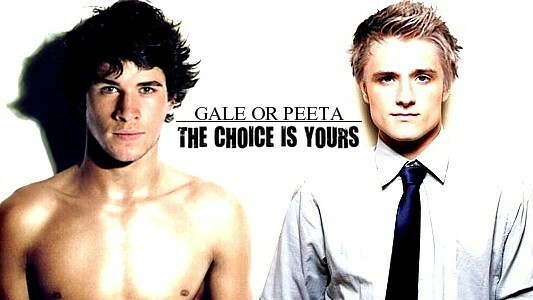 I did like Peeta more on screen than on page, though, so props to J-Hutch. THANK YOU for doing this link up! I didn't get to see the movie this weekend, but I'm still reading blogger reviews (so sue me). I did hear that Suzanne Collins wrote the screenplay, so maybe she had her reasons for leaving certain things out, or maybe the director wanted to take certain things in a different direction? I'm glad to hear that overall it was amazing though! oh gosh, i just can't get into this! the movie was absolutely incredible!! and i know what you mean about a few things being changed. for some reason it really bothered me that they didn't do the whole avox scene in the beginning. or explain them at all. and during the hunger games, you never saw any of the bodies being lifted up by the hovercraft. right there with you in the whole peeta being mauled up thing. but still, the whole movie was just beautifully made. yay! already dying of anticipation for the next one! i still have yet to see it! tickets have been sold out for a long time. as sad as i am to admit, hunger games is the first series i have read...besides nancy drew when i was a wee one. i know! i can't wait to see it. it will be fun to watch knowing what you thought about it. Reading this just made me wildly happy. I'm going on Wednesday hopefully (have to ditch my last German class in order to do so, bad idea?) and this got me even more excited. 1) Did you see it in German or English? 2) I got 3 text messages from people telling me I'd be obsessed with Cato. 3) No prosthetic leg? That is an odd eliminator. 4) Just seeing the shot of Katiness and Rue gives me chills thinking about that moment. I thought casting was great, especially Rue! 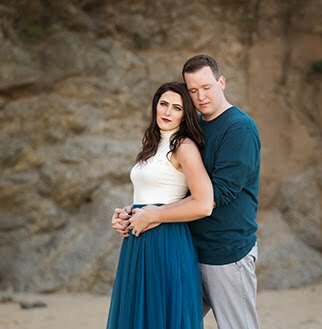 I wonered how they'd pull off both fire outfits, and they totally did! WHY HAVE I NOT SEEN THIS MOVIE YET? WHY??? Hopefully I get to see it this weekend. Pray for me...I'm DYING, hearing everybody's reviews of it! The leg!!! I agree! where was that? and Katniss's hearing?? Granted, that would've been hard to show in the movie, but they could've showed them being more 'affected' maybe? Ceaser? ha, he was the perfect games announcer. :) I'm going to re-read the first book NOW, if you'll excuse me. i agree about madge! that only thing i could figure was maybe for lack of time and detail, they changed the storyline a bit? idk..
i thought they should have been a little more worn down... (peetas leg and katniss's hearing) and show the capital "healing" them. i realize its hard to show that much detail in the movie. overall, i think they did a good job. i loved the casting... but i wish that they would have played up cinna a bit. lenny was kind of toned down to be a stylist from the capital. I didn't mind that Madge wasn't in the story. I need to refresh my memory on why she's important later-- I've only read the last book once. I don't really have any disappointments with the movie. I thought all the casting was EXCELLENT. Not the hugest fan of Gale though...I just cant get out of my head the whole The Last Song catastrophe that he starred in. I do wish they spent a minute or two longer elaborating Katniss' relationship with Rue. If I hadn't read the book, I would have thought that felt a little rushed and would be confused. PEETA BLEW MY MIND. I was pleased with Josh for the roll, but HOLY CRAP. He was amazing. Cato was hot. I wish they had put the mauling leg part in and also maybe the naked scene....for artistic purposes only. And also because I wanted to see Josh's abs. Conclusion: I need to reread the books and go see the movie one hundred times. you just reached in to my soul and typed what's in it regarding the movie. Instead of talking about every. single. thing. you said...I'm going to agree with everything...because really, I do. I so loved those shots of Gale. Intense. 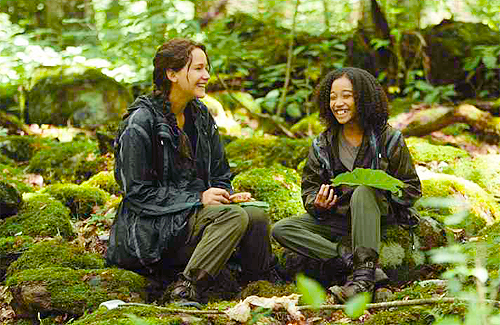 Rue was SOO perfect...as was everyone else. Loved E Banks and Woody Harrelson too. I can't wait for the next one!!! You'll have to do another link up because you KNOW i'll be talking about it!